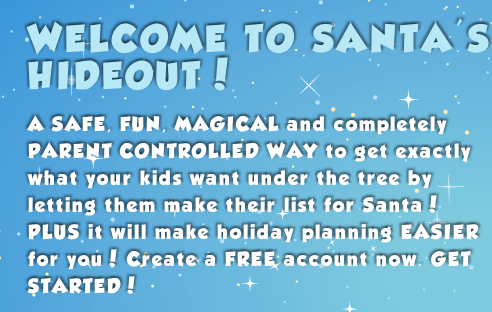 Santa’s Hideout is a safe, fun and free way to make holiday gifting magical for the whole family! PLUS it will make planning EASIER for Mom. Can’t beat that! SantasHideout.com is Mom’s secret weapon to the holiday season! 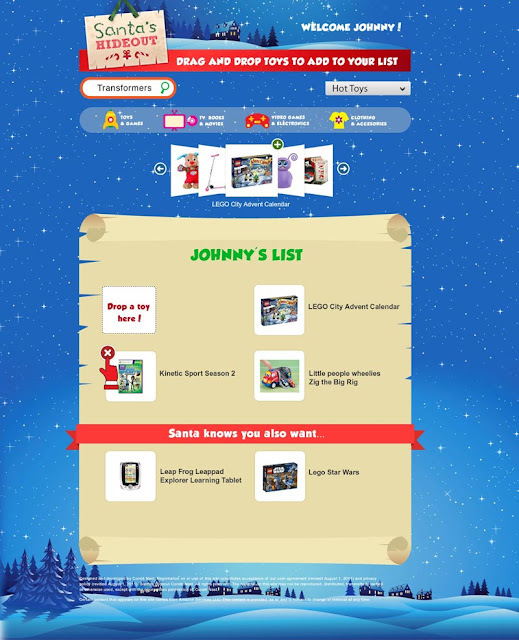 Santa’s Hideout lets kids securely make their lists for “Santa”, then parents, friends and family can shop and share from them easily. Parents can track purchases and can send special messages of encouragement from Santa himself. Seriously, being a mom of four, I know how hectic Christmas shopping can be. I try to make a list with my kids every year, but I always find that I am left to guess what they want. This takes the guesswork out of the holidays and really makes things easier for ME. Sometimes, for a mom, that is very important because life can get really busy around the holidays. I have had a chance to look around this site and it is so much fun. It is so easy to register and then all you have to do is create lists for santa that you can send to family and friends. No one has to wonder or guess what to get, all they do is check the Santa’s Hideout list and everyone is less stressed and more prepared! This is a kids view of Santa’s Hideout where the kids can drag and drop the toys that they want to be on their list. As a parent, you can be “santa” and send a request to your child requesting of them to make a personalized holiday list. The drag and drop feature makes it so easy for them to create their list and they have so much fun in the process. I know how hard it can be to figure out what my kids want and this makes it so easy! SantasHideout.com is Safe, easy & magical gifting! Santa’s Hideout is such a great modern take on a timeless tradition. It makes the process fun and easy for everyone involved. 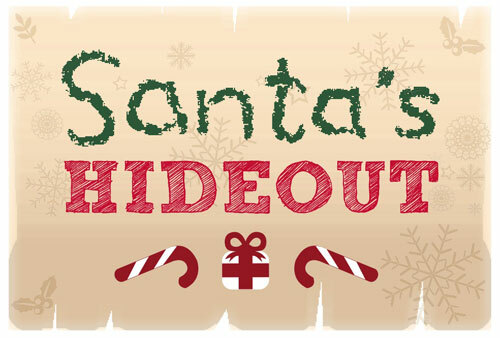 These holidays as we are preparing, why not make the process as stress free as possible with Santa’s Hideout! 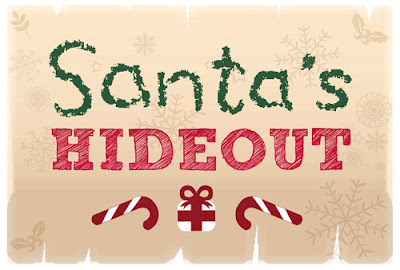 Check out this adorable video all about Santa’s Hideout! *Gift requests can be reserved for “Santa only” while others can be sent to family and friends via email and social media. *Once purchased or reserved, the parent’s view of the child’s list is automatically updated, and if a reserved item hasn’t been purchased within 48 hours, a gentle reminder email from “Santa” is sent. *”Santa’s Deck” is a tool that allows parents to trigger email messages to their children from “Santa,” encouraging them to share, do well in school, use kind words, be helpers at home or customize their own message. To sign up for this free service, go to http://www.santashideout.com/ . You can also follow them online at Twitter and facebook. Previous Post: Disney’s The Muppets Review- In theaters this Thanksgiving!